Part of me wonders if I’m being particularly judgmental with some of these books. I mean, lots of people have claimed that they are AMAZING after all. So here’s what I’m unsure about, and I’ve got a poll at the end where you can help me to decide whether I should give any of these titles a chance! First on the list… Stormdancer (The Lotus War #1) by Jay Kristoff. I’m unsure about this mostly because of the author… he did most of his research about Japan via Wikipedia and anime. And to me, the book has a lot of negative ‘weeaboo’ connotations because of this. Yet I still haven’t dismissed it entirely because a lot of my blogger/Goodreads friends have loved it. Geek Girl (Geek Girl #1) by Holly Smale is a similar story – I know lots of people who absolutely loved it. I enjoy reading books about geeks or people who are particularly passionate about something, because I can relate to them. However, I’m not sure whether this book is too far onto the ‘Young’ side of Young Adult for me. Yeah, I know, this feels kind of blasphemous as a massive fan of science fiction. However, I’ve tried to read Dune (Dune Chronicles #1) by Frank Herbert several times, and have just never gotten into it. For this reason I’m hesitant to try again – but it’s such a sci-fi classic! I feel like I would enjoy the fantasy and paranormal elements of Cassandra Clare’s Clockwork Angel (Infernal Devices #1), but I’m unsure after hearing mixed things about her writing and also some slightly negative stuff about the author herself. Would you urge me to read any of these books? Are there any books you’re unsure about reading? Today I want to discuss a science fiction and fantasy publisher, who have also been kind enough to send some goodies for Sci-Fi Month: Hodderscape. Don’t forget to check out the schedule for the rest of today’s posts. You can also Tweet about the event using the hashtag #RRSciFiMonth. Hodderscape is the science fiction, fantasy and horror imprint of the well-known publishing house, Hodder & Stoughton. 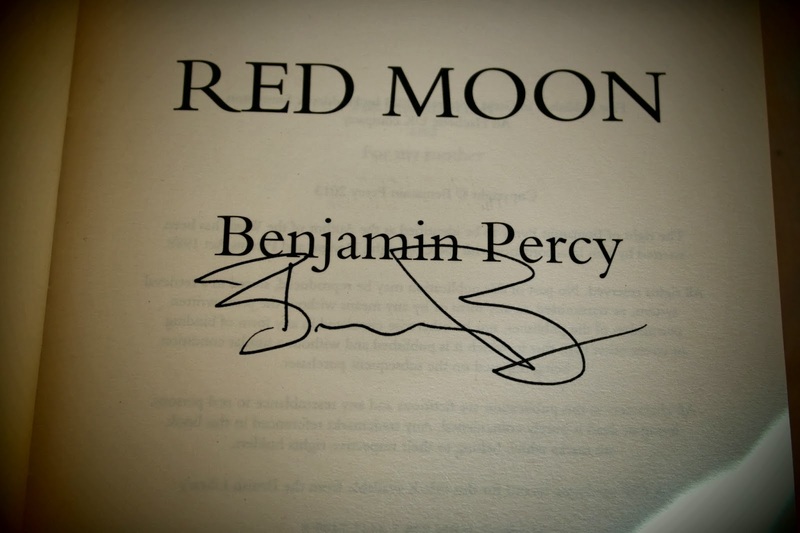 They publish a wide range of authors, including Stephen King, Laini Taylor, Frank Herbert, Benjamin Percy and Jasper Fforde. You can view a full list of their authors here. 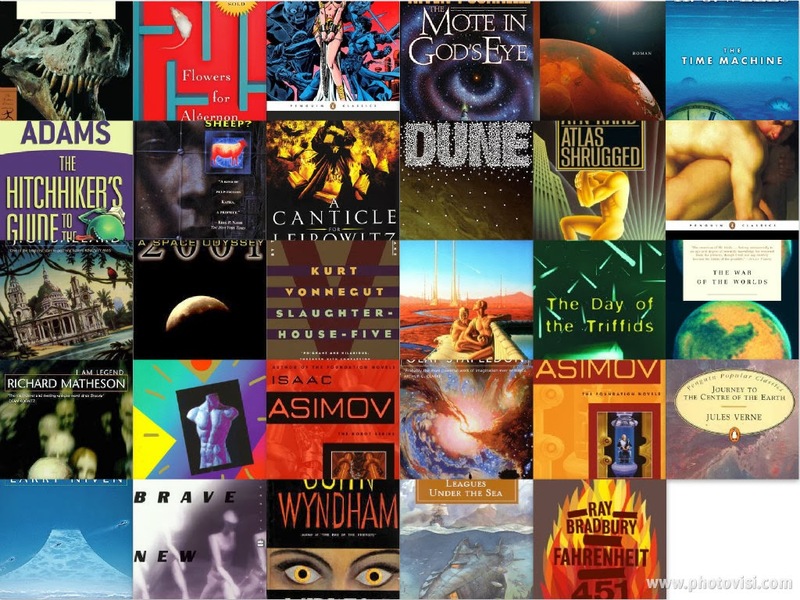 They have published books that range from Frank Herbert’s Dune, the science fiction classic, to Susan Ee’s Angelfall, an originally self-published sensation. What’s so great about Hodderscape? The number one thing to me is that they interact with their readers. The team has a big online presence and makes great use of social media to stay in touch with book lovers, answer any questions and offer up some great giveaways and competitions. They also have a blog where they feature weekly articles by author Adam Baker, Friday Favourites, Wednesday Wonders and Classic Covers, amongst other things. They’re more than happy to indulge in discussion with fellow fans of science fiction, fantasy and horror. If you’d like to keep up to date with Hodderscape, you can visit their website, like them on Facebook or follow them on Twitter. Thanks to the lovely people at Hodderscape, I have some books to give away. 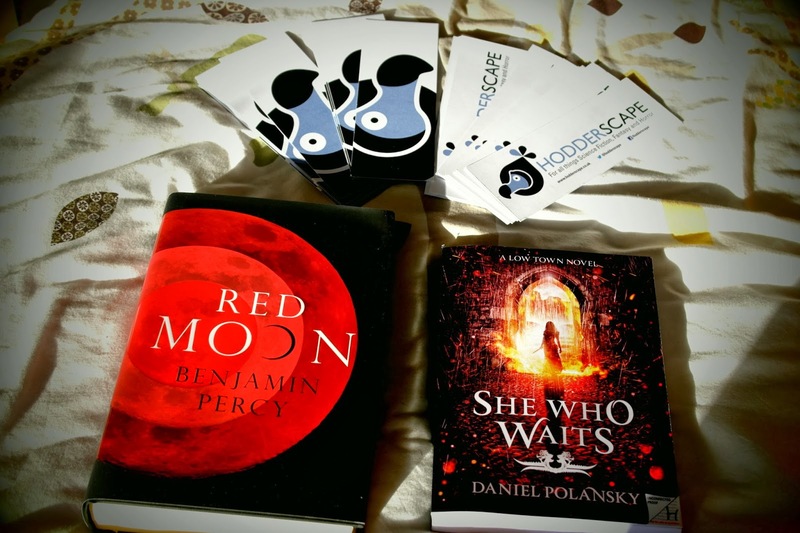 The winner can choose between a signed copy of Red Moon by Benjamin Percy, or an ARC of She Who Waits by Daniel Polansky, and I’ll throw in some of the bookmarks that Hodderscape sent me along with the books. The giveaway is UK only, because of postage costs, but I’ll add another small international giveaway for some of the bookmarks in case anyone is interested.